Paul W. Vernon is an Executive Vice President in the Retail Division at Henry S. Miller Brokerage, LLC. For more than 30 years, Mr. Vernon has helped restaurant owners get into business and grow from a small number of units to an entire chain. He also is skillful during dispositions, ensuring that his clients incur minimal financial losses when going out of business. In addition to offering expertise to restaurant clients, Mr. Vernon also specializes in landlord and tenant representation, retail and land development, property disposition, as well as income properties and land sales. Paul has worked with clients in cities across the state of Texas, including Dallas-Fort Worth, Houston, Austin and San Antonio. He is a member of International Council of Shopping Centers (ICSC), North Texas Commercial Association of Realtors (NTCAR) and SMU Real Estate Society. Before joining Henry S. Miller Brokerage, LLC, Mr. Vernon was Director of Retail Development at Crest Commercial Real Estate. He was also Executive Vice President at the John T. Evans Company. 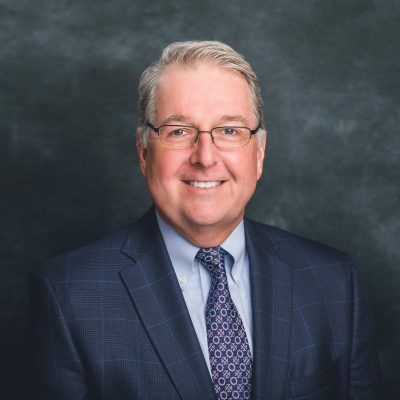 Paul began his career in 1985 with Evans, Birmingham, and Williamson, which later became Cornerstone Commercial Real Estate. Mr. Vernon is a Dallas native, and graduated from Lake Highland High School in 1981 and from SMU in 1985. He is married to his high school sweetheart, Terry, and has two adult boys, Brandon and Connor Vernon. Mr. Vernon has lived in Plano for 25 years and is a longtime member of St. Andrew United Methodist Church, where he has served on the worship and building committees, choir, as a Sunday school leader, on missions and as a volunteer at the Seven Leaves Food Pantry. He has been a longtime volunteer and coach for PSA Sports, Troop 1000 Assistant Scout Master, Plano West Quarterback Club officer and a proud volunteer at the Plano ISD mentor program at Rose Haggar Elementary.